Not Kris Bryant. Not Anthony Rizzo. Not Javy Baez. Not Jason Heyward. Not the entire New York Mets team. 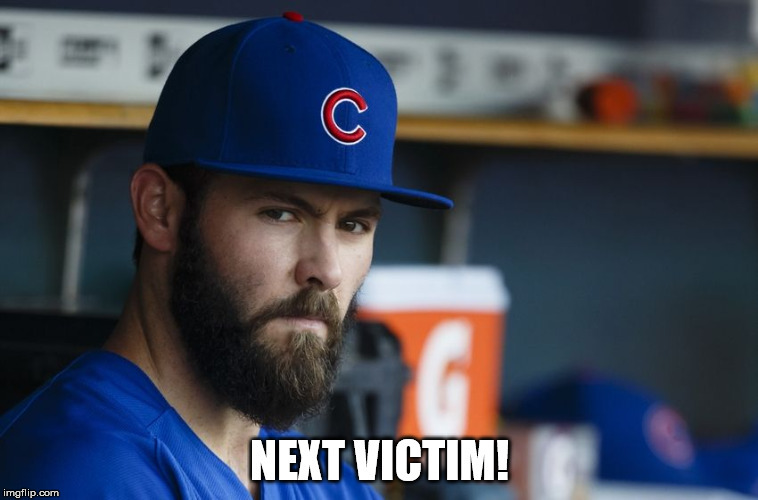 It was Jake Arrieta who conquered the beast. Madison Bumgarner aka Mr. Postseason has been LIGHTS OUT in October as of late. His numbers are absolutely disgusting. Below 1 ERA in elimination games, intimidating as can be, and a man who does not know how to lose a big game. That being said, it took another freak of nature to break him and his name was Jake Arrieta. When a stud pitcher hits another home run off of a stud pitcher, the only answer that makes sense is destiny. This was a sign from the baseball gods. It’s the Cubs year. Sorry, MLB.